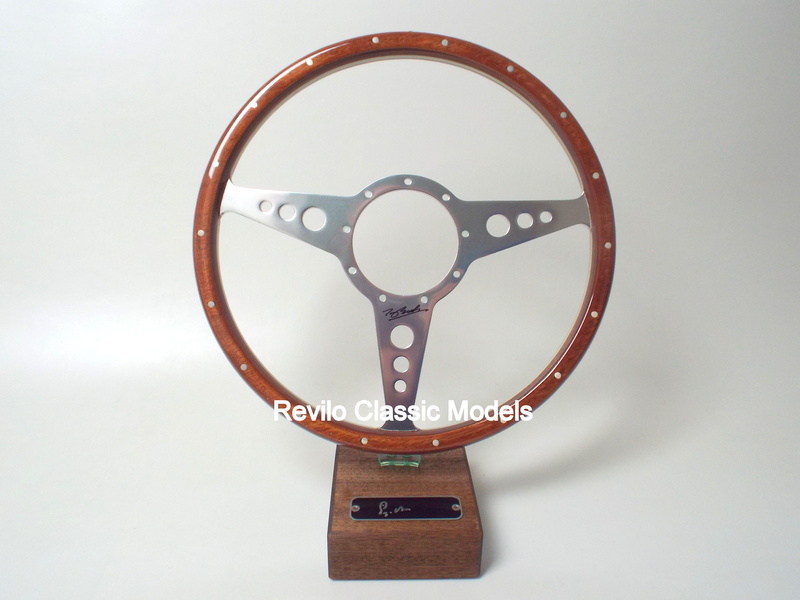 This is a brand new reproduction steering wheel, as used by Stirling Moss in all his major races. 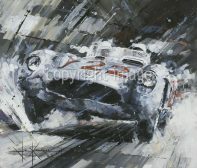 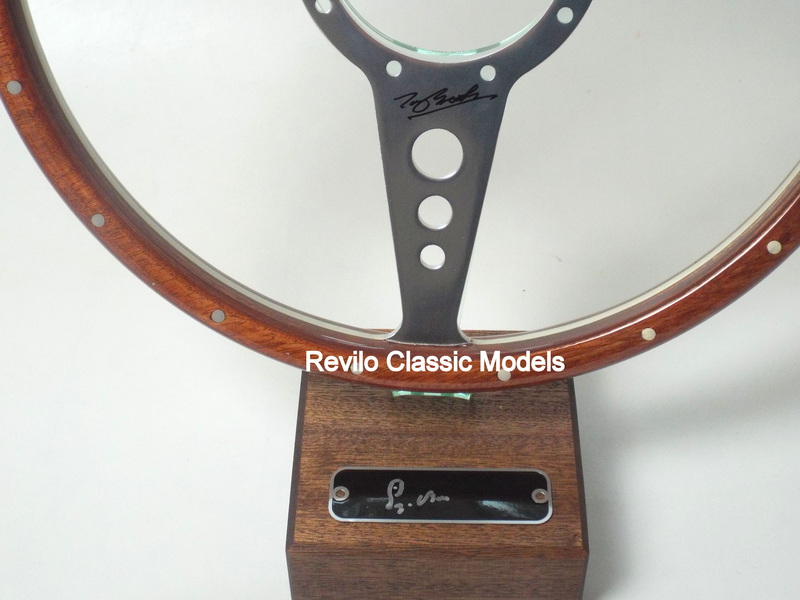 The steering wheel is signed by the great Tony Brooks and has a plaque on the wooden base signed by Stirling Moss (both with COA). 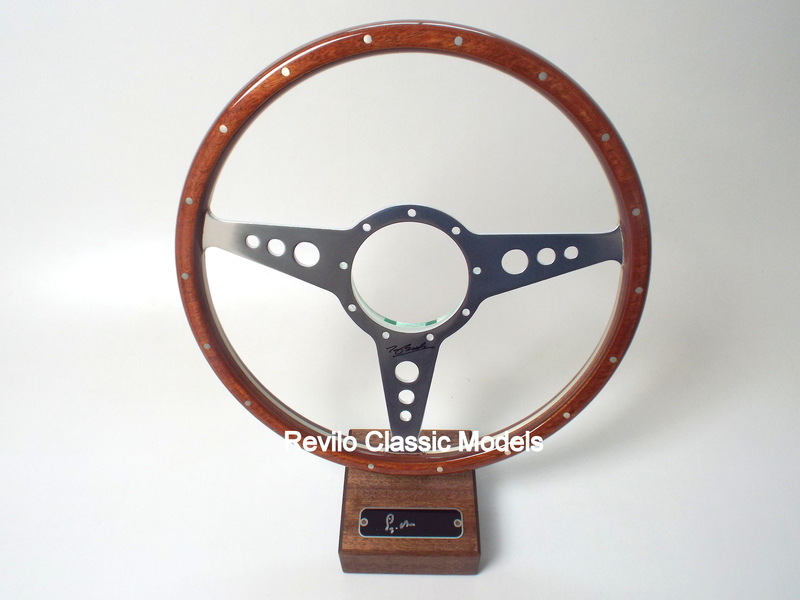 The steering wheel comes with a wooden based mount, with an acrylic stand for the steering wheel. 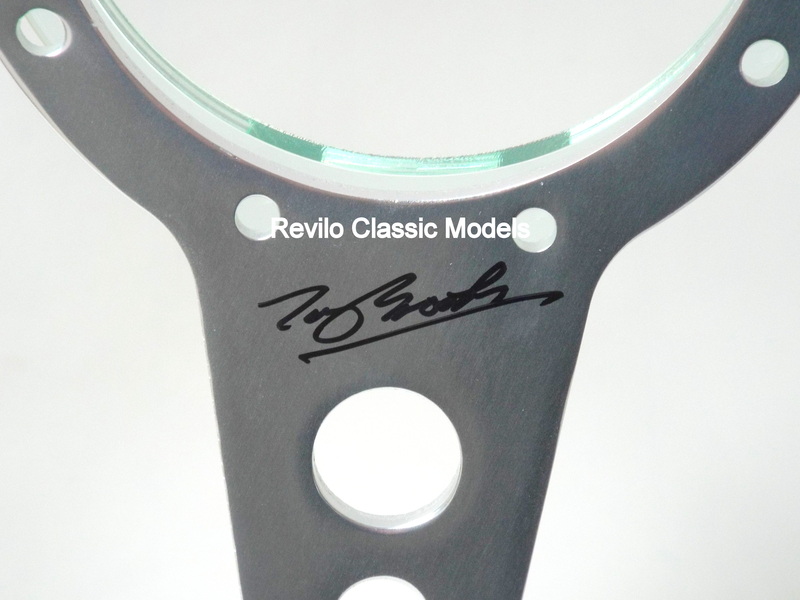 Limited edition on no more than 300 worldwide. It is Mota-Lita compatible with 9 holes around the centre if you wish to used it on your classic car.